Political Adviser to Governor Willie Obiano of Anambra State, Chief Ifeatu Obi-Okoye, on Sunday, cleared the air on why widow of the late Igbo leader, Dim Chukwuemeka Odumegwu Ojukwu, Amb. 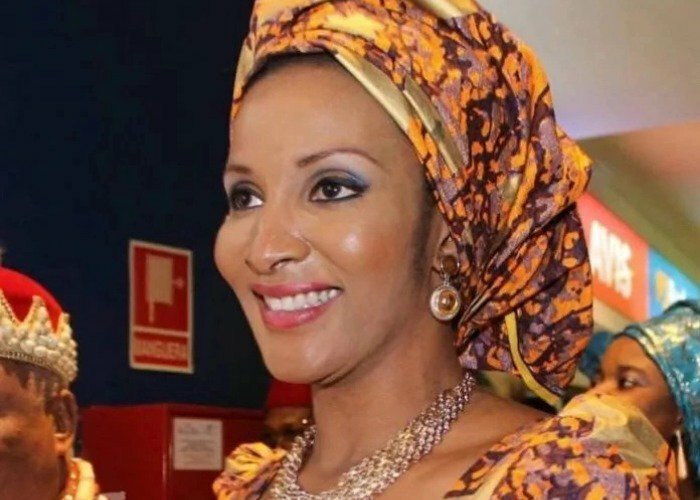 Bianca Ojukwu, lost the All Progressives Grand Alliance (APGA), ticket for Anambra South Senatorial District, saying she was the architect of her misfortune. Obi-Okoye, who is the immediate past National Publicity Secretary of APGA, noted that the hierarchy of the party promptly advised the former Nigeria’s Ambassador to Spain not to contest the primaries to save their (Ojukwu) as brand name from embarrassment should she lose in the primary election. He said that Ojukwu’s widow was privately and publicly asked not to run but she ‘stubbornly’ insisted on testing her popularity, adding that though her loss in the poll was unfortunate, she lost to a more experienced politician. The governor’s aide said, “It’s regrettable that she contested that election. She should not have. “I’m sure if our leader, Dim Chukwuemeka Odumegwu Ojukwu was alive, he would not have allowed her to contest. Debunking the insinuation that she was not well treated by the party, Obi-Okoye continued, “I am not aware she was badly treated in that exercise. Looking at the primary election, the man that won is Nicholas Ukachukwu. “He has been around and has been in the National Assembly for Abuja and contested for Governor in Hope Democratic party, PDP and ANPP in Anambra State. He is not new in politics. “It would have been okay if the wife of our leader did not contest at all, so that the question of how she was treated would not have arisen. “In this business of politics, it is quite rough and once you come in, you expect anything to happen. “On one occasion in my presence, it was the senatorial candidate from Abia South that moved a motion for the wife of our leader to become the Vice Presidential candidate and everybody accepted that. “The motion was, however, not binding on the BOT of the party or on Bianca, but she stood and opposed it. “We preferred her to play a more nationalistic role. I also know that in a private meeting, Senator Victor Umeh begged her not to run, but she decided to join the fray and now she is hurt about it, but we hope that soon all will be settled,” Obi-Okoye said.